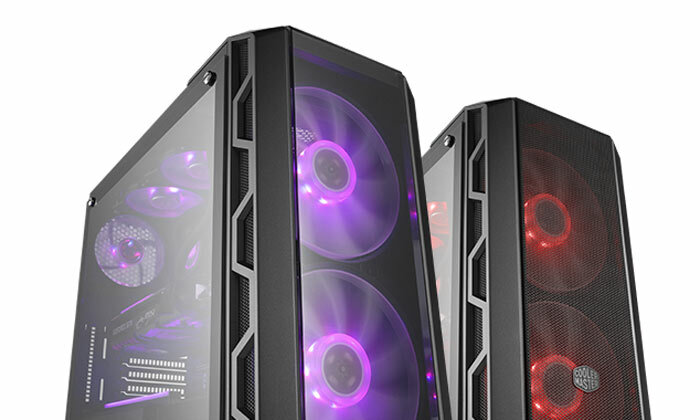 Cooler Master continues to expand its H-Series of chassis with its signature front pair of 200mm fans. In October last year HEXUS reviewed the Cooler Master MasterCase H500P (which won a HEXUS Approved award), and in May this year we noted the top-end 4-sides featuring tempered glass MasterCase H500M had been launched (available in retail shortly). 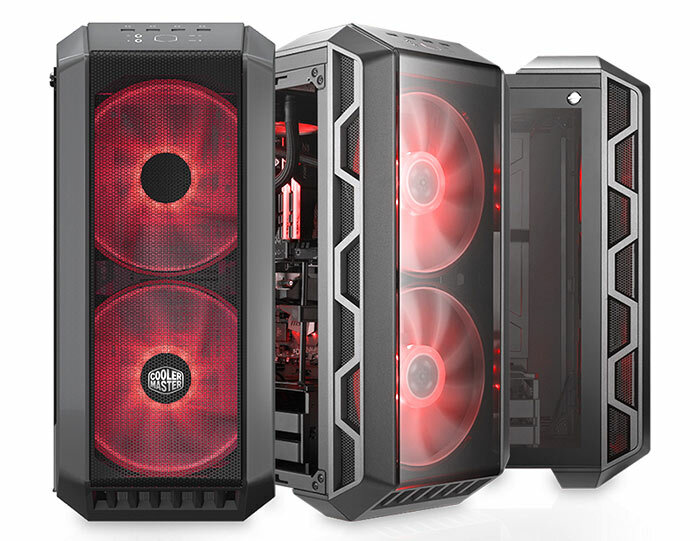 Now Cooler Master has emailed HEXUS with details of its new MasterCase H500. The reasoning behind the MasterCase H500 release is to provide a chassis with the dual-front 200mm fan design and other key qualities of the H-Series but with fewer complicated options and less modularity. Thus this chassis is a third cheaper than the MasterCase H500P and half the price of the MasterCase H500M. Cool Master says that "for gamers that prefer mesh, added portability, and a straightforward building experience, the MasterCase H500 offers a practical alternative that still keeps the series' essential features". There is a transparent alternative front panel included in the box too. Other key specifications worth a mention are that this chassis measures 525 x 228 x 502mm and can fit ATX, Micro-ATX, Mini-ITX motherboards. Seven expansion slots are present and you have room for 2x 3.5- or 2.5-inch drives, plus 2x 2.5-inch drives. As well as the front two 200mm RGB fans with controller, Cooler Master has installed a 120mm exhaust fan at the back. Max compatibility for CPU coolers is 167mm, for PSUs it is 180mm, and GPUs up to 410mm long are OK to fit. Via the easy access front-top I/O you can hit the power button and reset switch, check the power and HDD leds (white), reach 2x USB 2.0, 2x USB 3.0 ports, and connect to the audio in/out ports. Cooler Master told HEXUS that the MasterCase H500 will be available for a £99.99 MSRP, and will be available in the UK in at the end of July. Pre-orders will open soon. And Hexites get a 404 from that link…!! Really? All links in the article work for me. 2 3.5“ and 6 2.5” *I'm shaking my head in sadness* Oh how Cooler Master has fallen. As I read it you can have a total of four drives, of which the two can be 3.5". That's not nearly enough. But hey, you get RGB fans and a tempered glass window. The more bling the better, apparently.